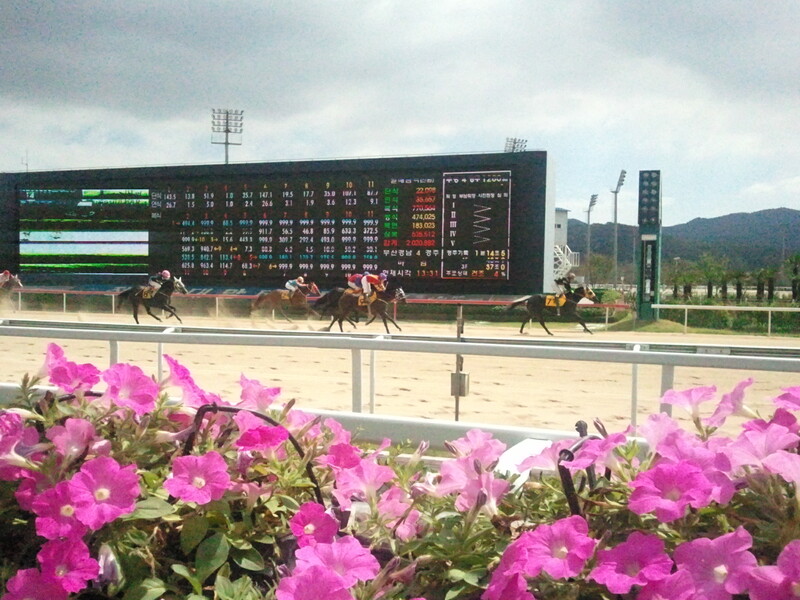 It’s the final weekend of racing before the short Korean Thanksgiving break and it’s a big one with the KNN Cup, the second leg of the 2015 “Queens Tour” for fillies and mares at Busan on Sunday. You can generally judge the chances of the horses who travel to the other track by the jockey who goes with them and with Seoul’s champion jockey Moon Se Young giving up a weekend’s prize money at Seoul to ride Bear Queen Trophy in the KNN Cup, the filly who has won three of her four races so far, must be considered. Korean Oaks winner Jangpung Parang will go as will New York Blue, 2nd behind Japanese-raider Esmeraldina in the first leg of the tour, the Ttukseom Cup at Seoul in June. In total, thirteen will line up for the race, which will be run over 1600M.